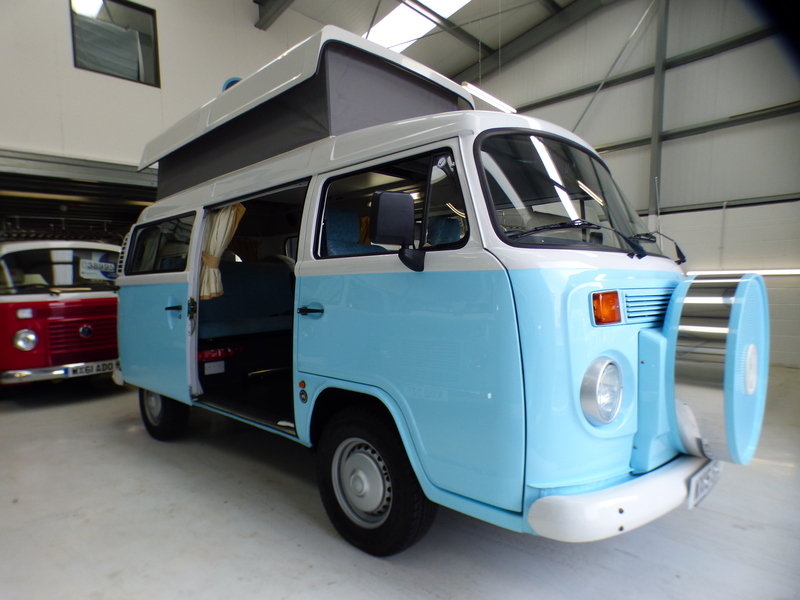 We’re fortunate to have a number of very late low mileage VW Danburys in stock at the moment. 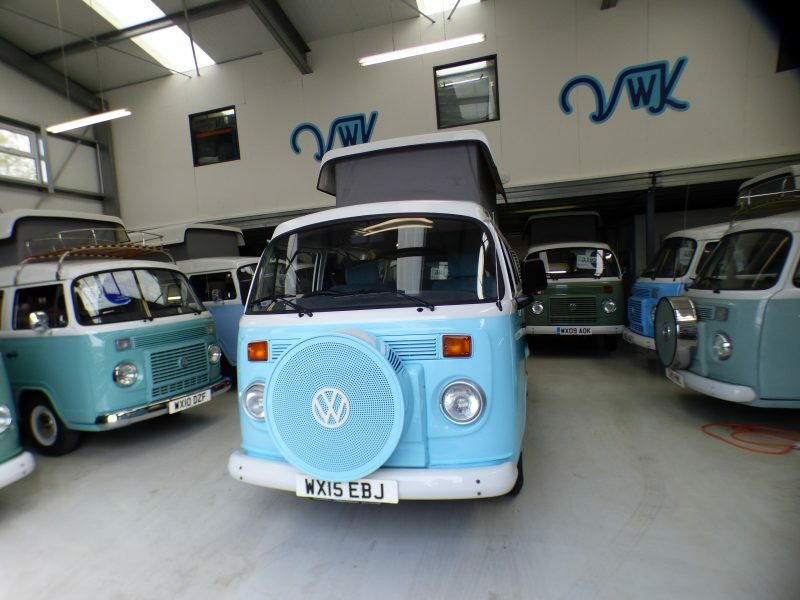 This gives our customers the opportunity to own a campervan that is effectively as good as new. 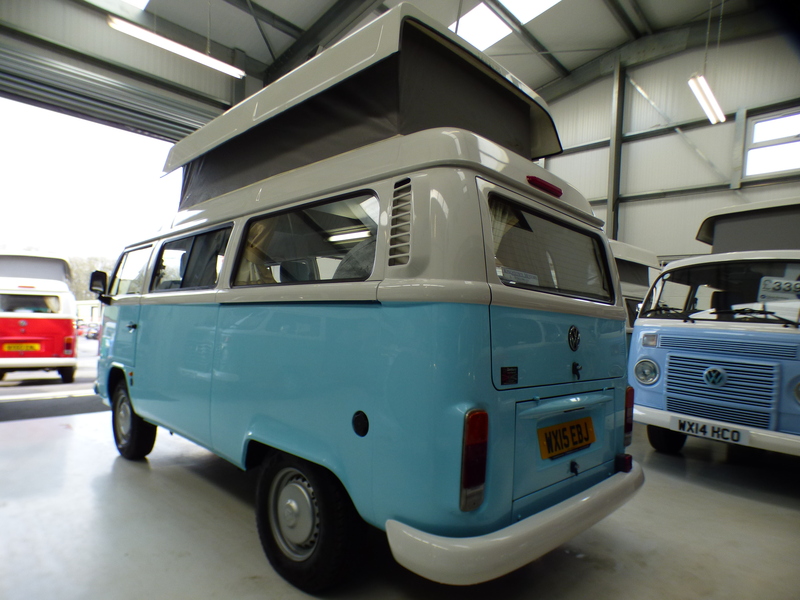 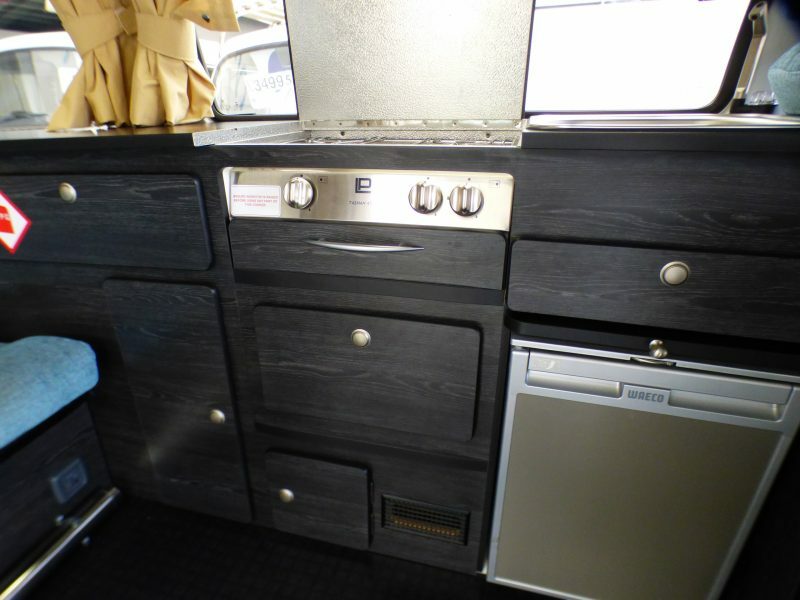 This 2015 Danbury Rio is such an example. 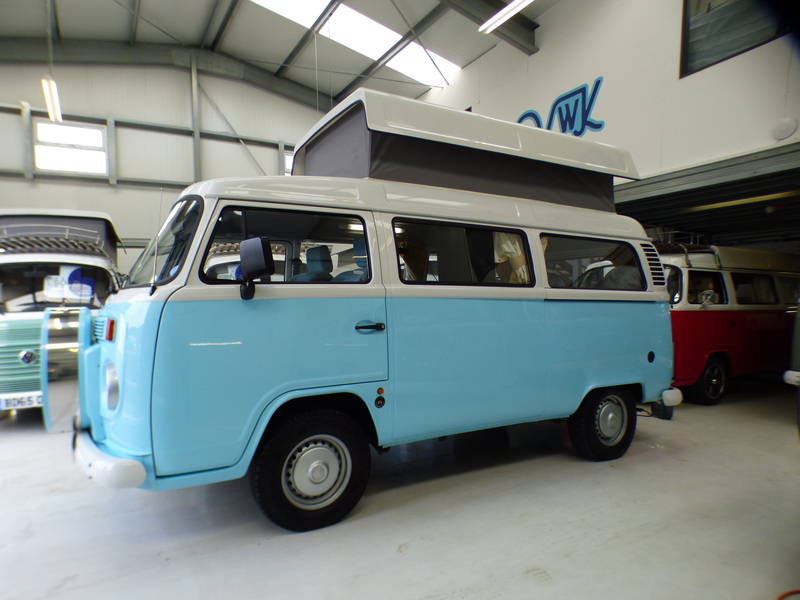 Classic in looks yet fully kitted out with the latest conversion units from Danbury, this VW Kombi will guarantee smiles. 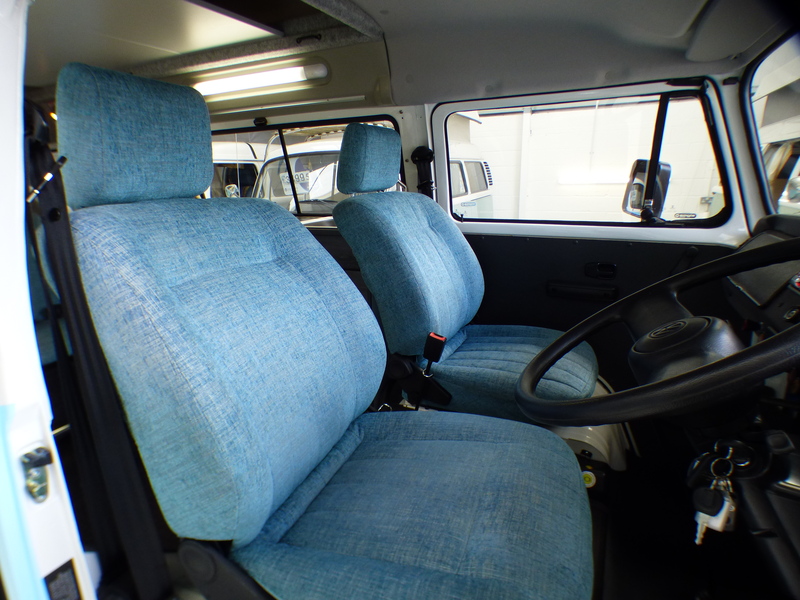 The Aqua Blue under White paintwork is complemented by the denim blue cloth you find on the upholstery. 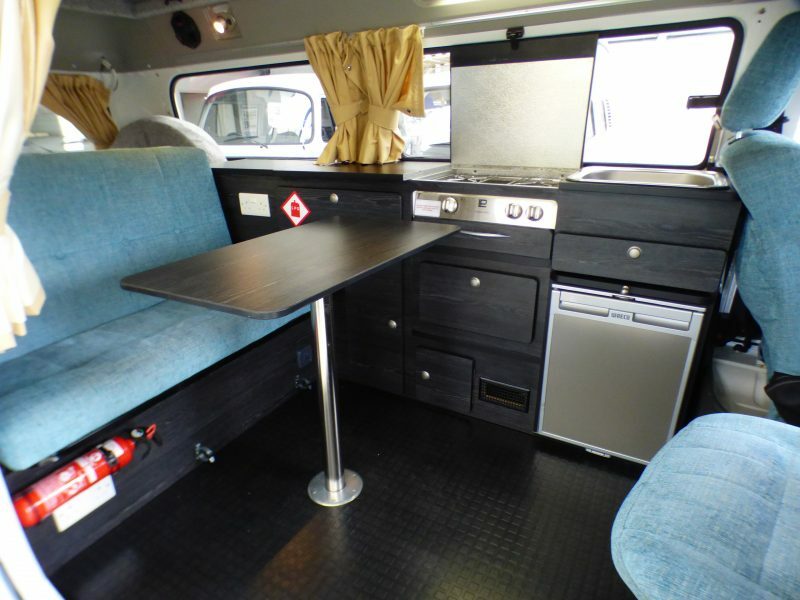 The furniture units look stylish in ash black and aluminium. 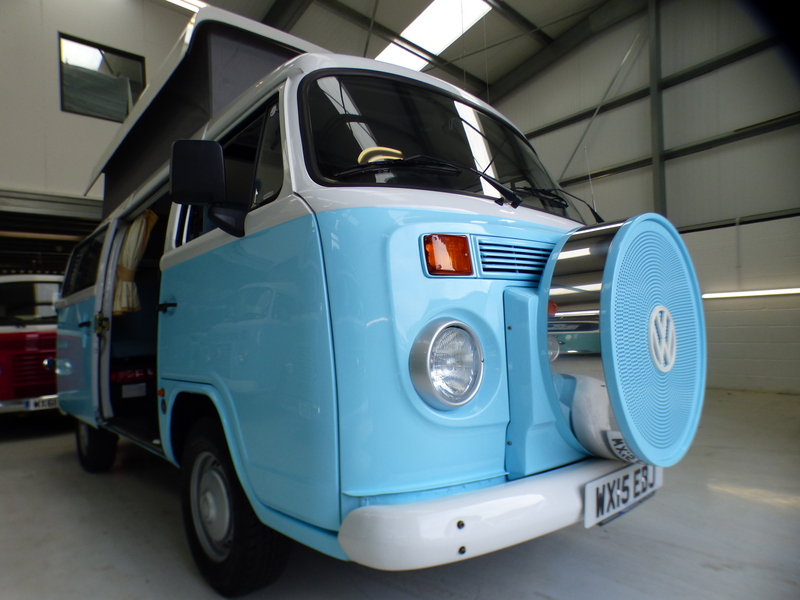 The dummy front spare radiator cover is colour-coded and wears a white VW roundel to match the white paintwork. The silver headlamp rings match the hubcaps. 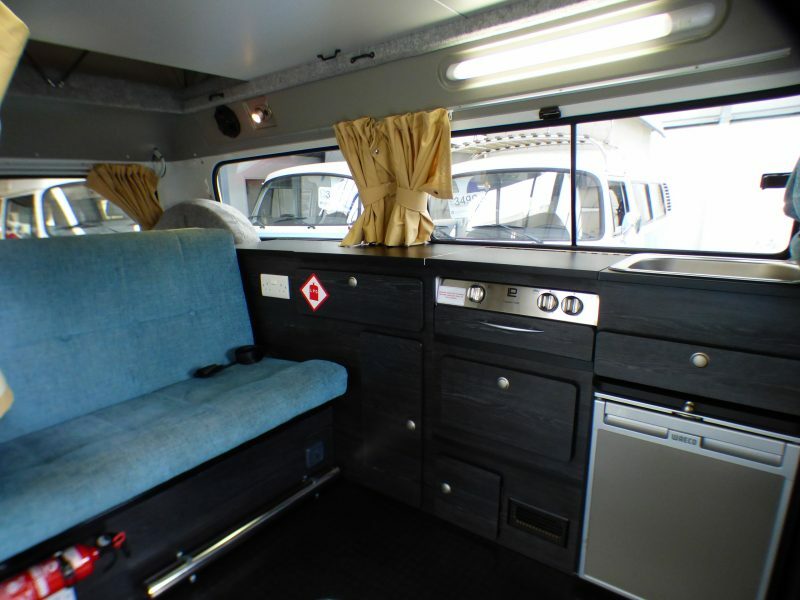 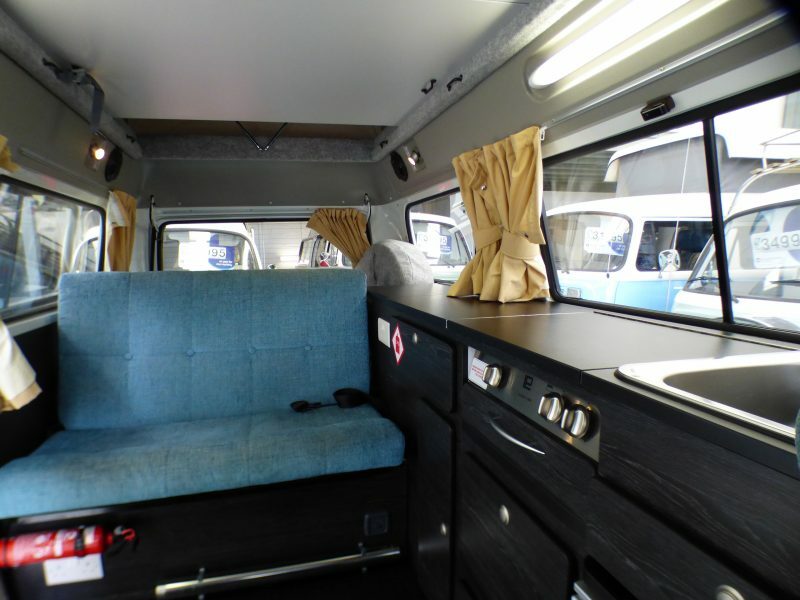 This Kombi carries 4 comfortably: up front the driver and passenger seats have 3 point seatbelts, the rear has 2 lap belts. 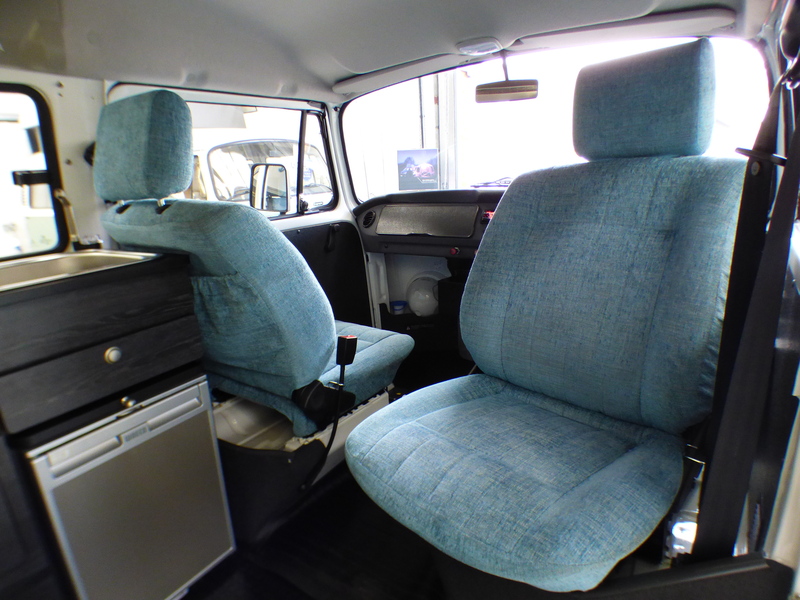 We can install 3 point seat belts to the rear if required. 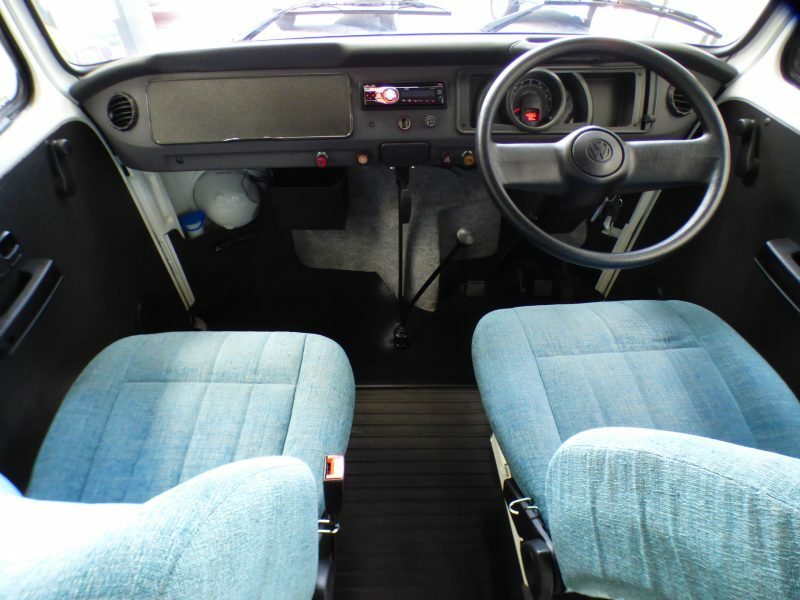 The Rio conversion means a 3/4 width bed combined with multiple cupboards keeping the spare wheel located to the rear nearside under a felt cover. 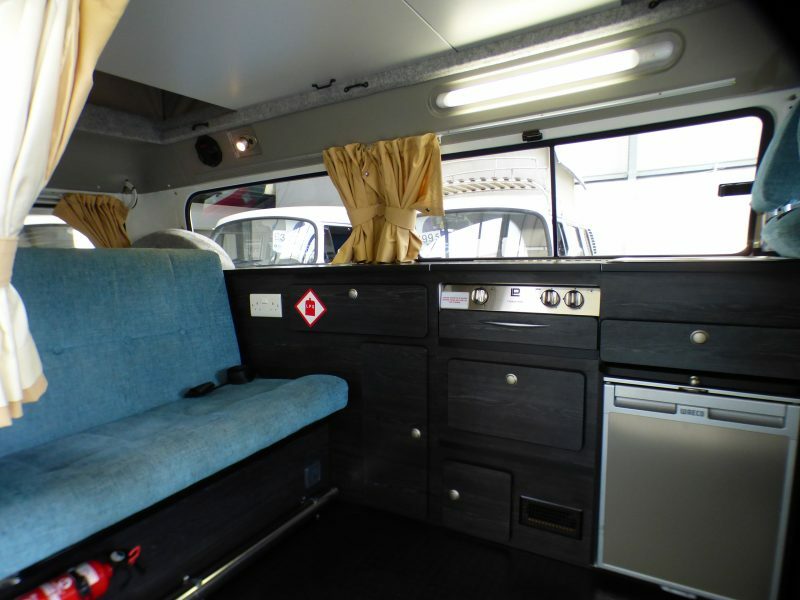 The driver’s seat can be swivelled around to make good use of the central cabin space when pitched. 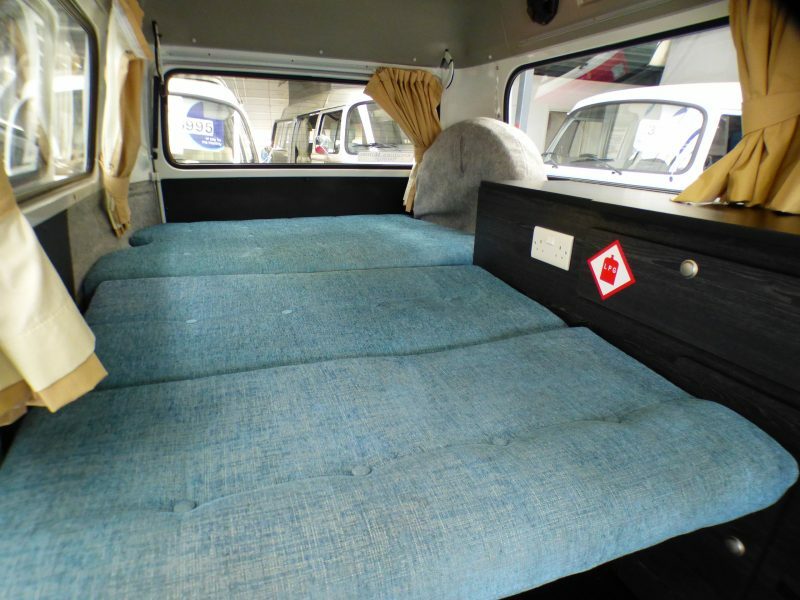 Raising the pop top and unfolding the bed boards creates a full 4 berth camper. 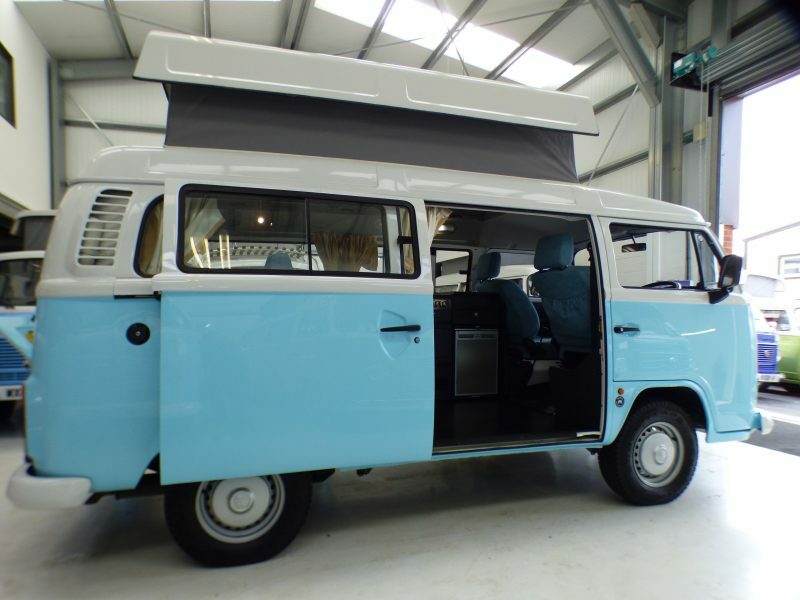 It also makes the camper more practical as the roof can be used as a storage area during the day. 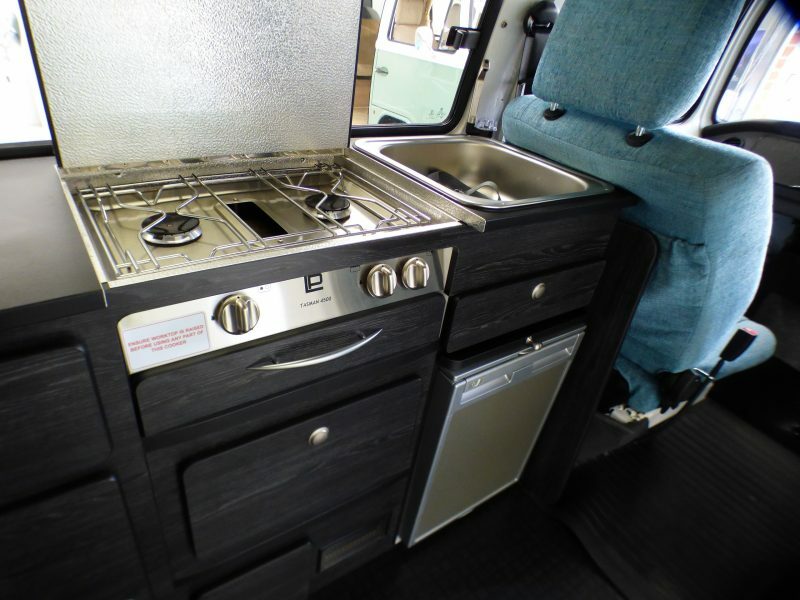 The capacious Rio unit contains all you would need for a camping adventure – twin hob with grill, sink with electrically pumped cold water, retractable shelf plus a low power fridge. 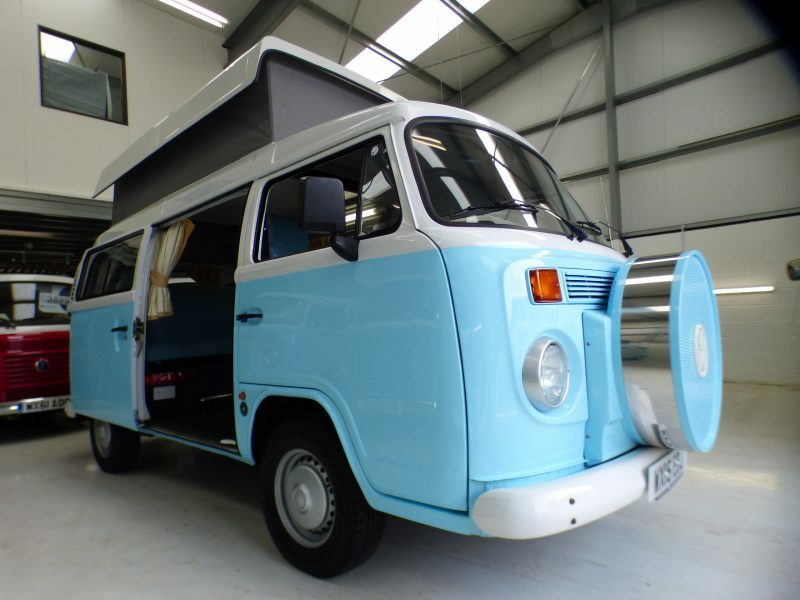 This VW’s modern water-cooled engine ensures reliability and low running costs. 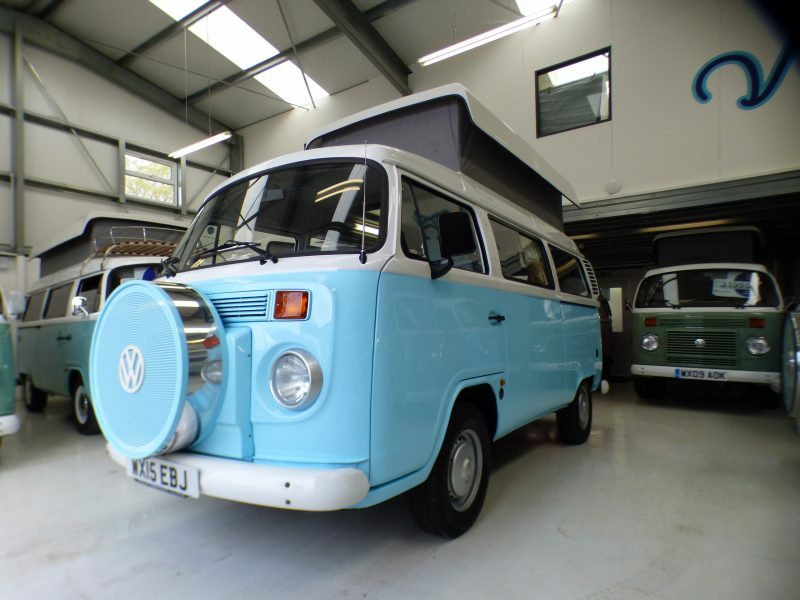 The 80bhp 1.4 motor can return upwards of 35mpg.